Like the rest of the series, it follows the adventures of Monkey D. Luffy and his Straw Hat Pirates, but instead of adaptating part of Eiichiro Oda's One Piece manga, it features three completely original, self-contained story arcs. The first five episodes, each following their own plots, form the "Dreams!" (ドリームス!) arc. The next three episodes make up the "Shutsugeki! Zenii Kaizoku Dan" (出撃! ゼニィ海賊団, lit. "Sortie! 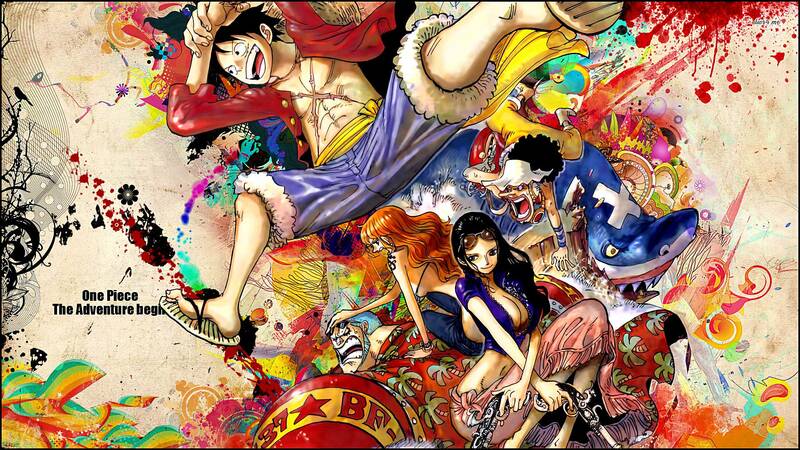 Zenny Pirates") storyline and focus on the Straw Hats meeting an old moneylender. The last five episodes form the "Niji no Kanata e" (虹の彼方へ, lit. "To the Other Side of the Rainbow") arc and deal with the protagonists getting trapped inside a mysterious, rainbow-colored mist. The fifth season of the One Piece anime series was directed by Kōnosuke Uda and produced by Toei Animation. The season initially ran from November 3, 2002, through February 2, 2003. The fifth season of One Piece is literally a filler season. Not a single episode is based on the manga and is their own self-contained arcs, though some episodes do seem to provides some back-story to the crew. The animation is consistent with the previous season, maybe slightly worst. The only new song is the ending theme “Free Will” by Ruppina. This is a good mellow song that will have your head bobbing to the vocal. The first episode (ep 131) gives us some back-story on Chopper and how he started to bond with the new crew member, Nicole. Episode 5 (ep 135) shows us how Johnny and Yosaku met Zoro. These two were first introduced in the Baratie Arc in episode 20. Other than these two episodes, nothing is of significant happen. You could skip this entire season, or just watch episode one and five. Only recommended for the die-hard fan of the series. One Piece contains moderate graphic violence and suggestive themes/dialogs. Intended for young adults.